This is a non-technical climb at 30 to 45 degrees. You must be in very good physical fitness with very good heart and lung endurance. 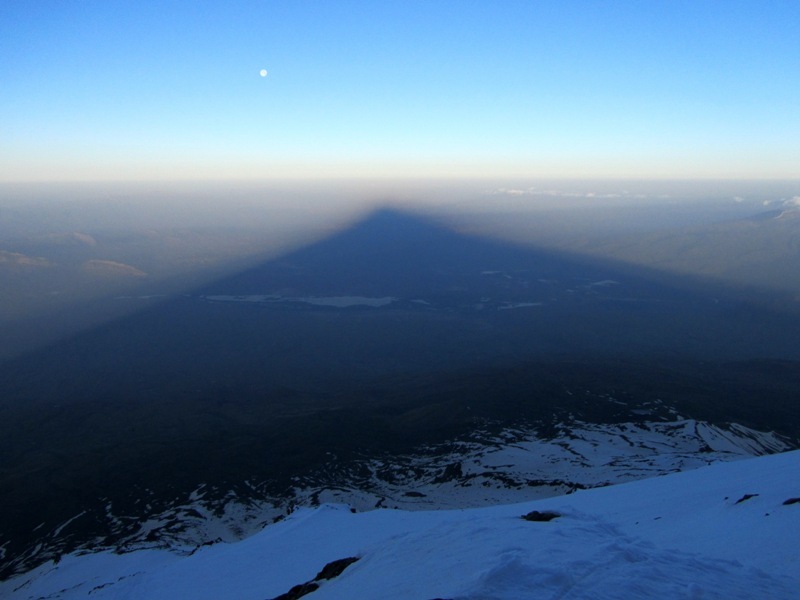 The summit, at 5137 meters, is lower than Mount Kilimanjaro, but because of incline and cold weather, it is a harder climb. Blizzards may delay climbing. Only the fearless or foolish climb in these months. At camp 2, even in August, temperatures turn extremely cold after sunset, and you crawl into your sleeping bag to arise at 1 AM for the summit climb. 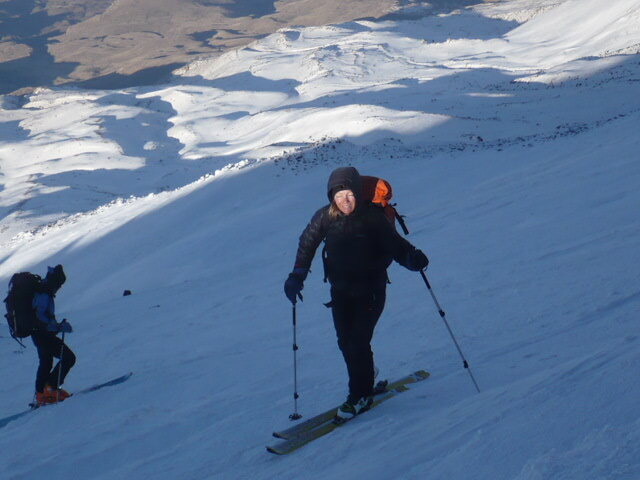 The last 400 meters are snow- and ice-covered year-round requiring crampons. 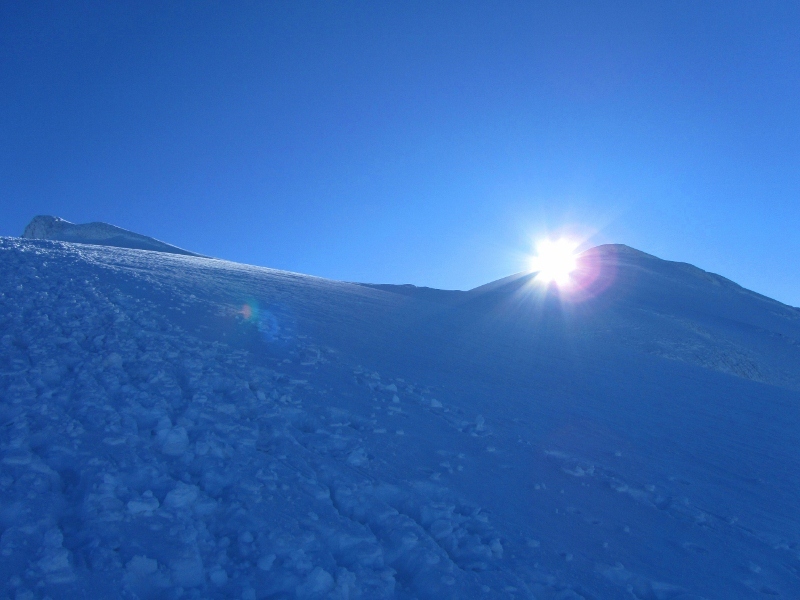 Winds can be 40 knots or more on the summit, making it bitterly cold even in August. You must dress in layers to keep warm, including your hands. How to Make a Tiny Camping Stove from a Beer Can You'll love this! Photo stop at Muradiye Waterfalls. Horses carry gear, food, backpacks. 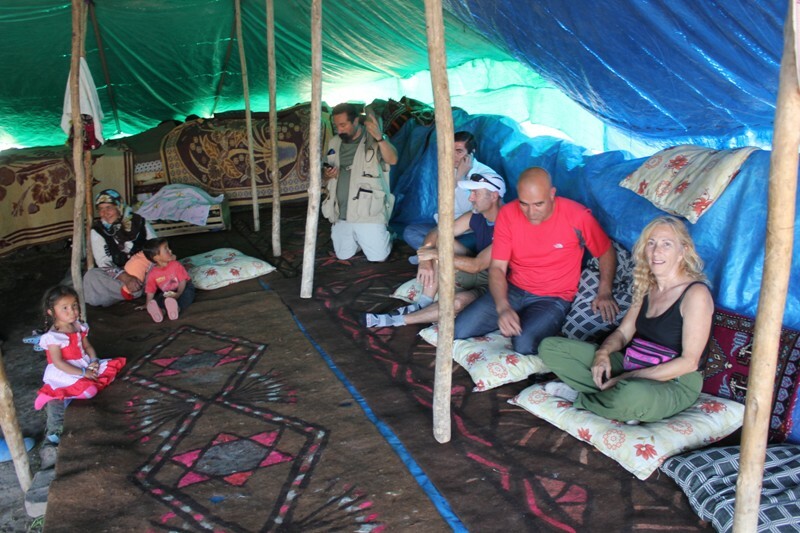 Visit in nomad summer tent. Mount Ararat summit is snow-covered. 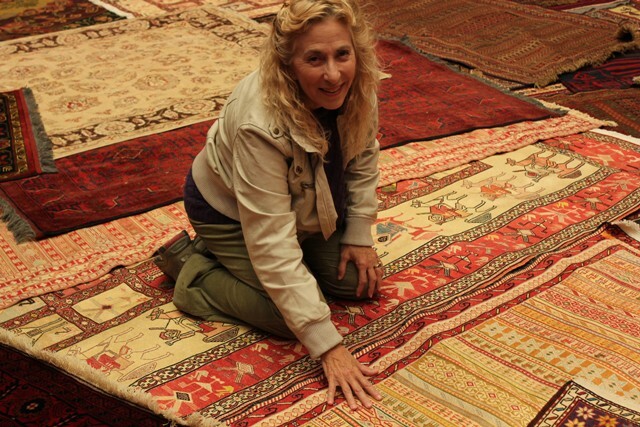 View Kurdish kilims and Persian carpets. Don't go home without one! Mount Ararat is the highest point in Turkey, rising in isolation above the surrounding plains and valleys and providing a panoramic view of Armenia, Iran, and Turkey. 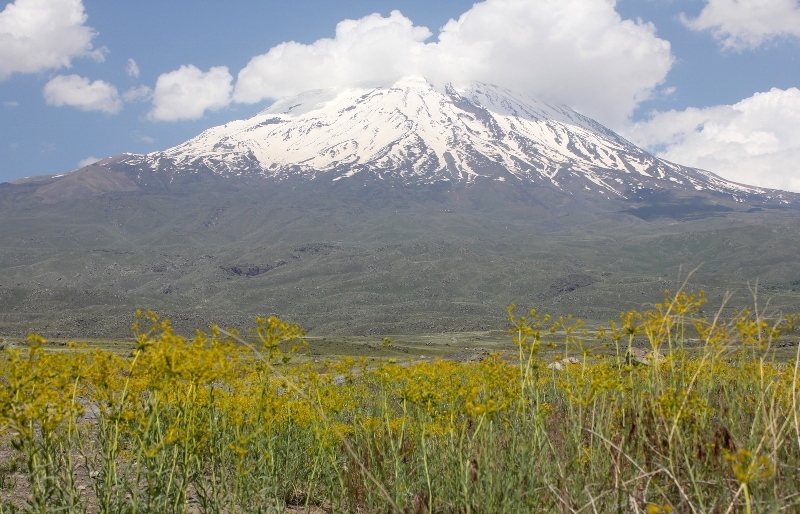 Ararat is a dormant volcano with no crater. It has not erupted in historic time. 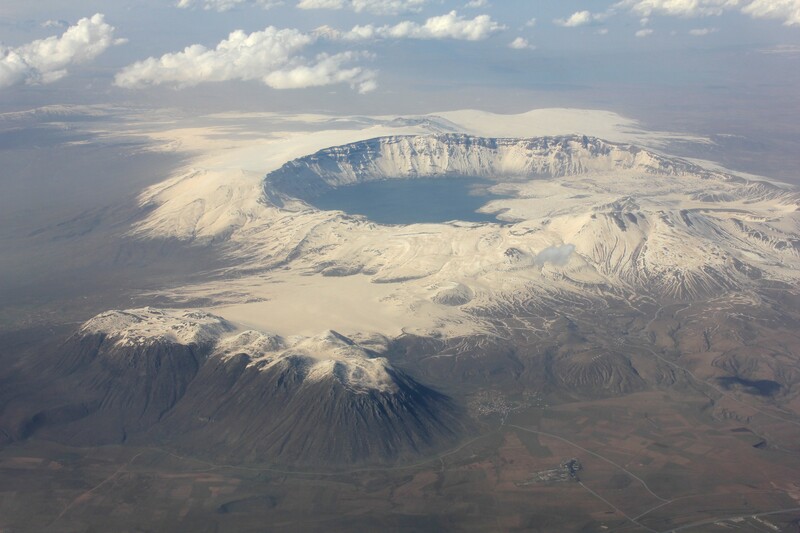 The most recent eruption was probably in the last 10,000 years. However, an earthquake rocked the mountain in 1840, burying a chapel, convent, and village on the slopes in Ahora Gorge. 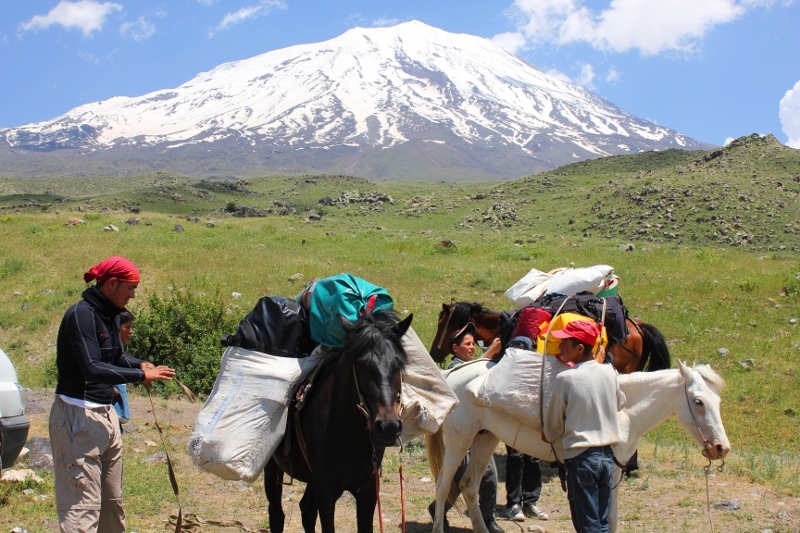 Today nomadic Kurds reside on the mountain from June 1 to September 1 with their herds of cattle and sheep. 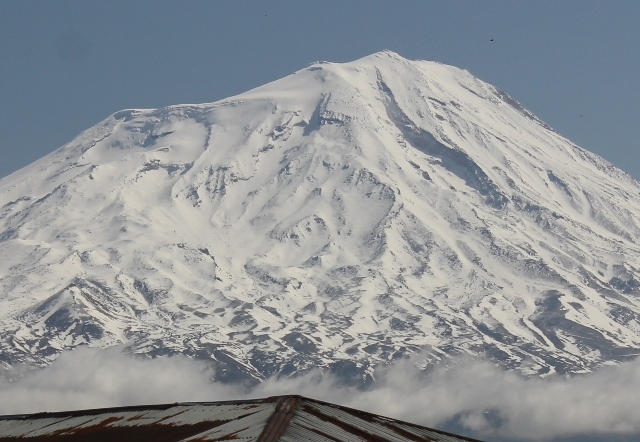 A smaller cone, Little Ararat (3896 meters) rises just southeast of the main peak. The Search for Noah's Ark continues to attract archeologists, geologists, and historians from around the world. According to Old Testament legend, Noah's Ark came to rest on the "Mountains of Ararat" following the Great Flood. Raider's of the Lost Past: The Quest for Noah's Ark features the American team. It was shown on Yesterday TV in UK, Nov. 2012. Amy Beam and Richard Bright are interviewed in it. Download the full-length 51-minute movie at WorldMediaRights.com. 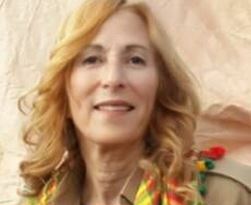 We are not associated with the Chinese-Turkish-Dutch-American hoax and Noah's Ark Ministries International (NAMI) who claim to have discovered Noah's Ark. We did have the misfortune to have the American Joel Klenck as one of our climbing customers in 2011. He raised the standard for astonishing deception adding to the growing body of "pseudo-scientific" lies causing so much damage to honest archeology. The Director of Archeology at Harvard University states there is little they can do to control what a graduate publishes after he leaves Harvard. We are now scheduling tours for 2018. The Turkish government opened Mount Ararat after being closed in 2016 and 2017. 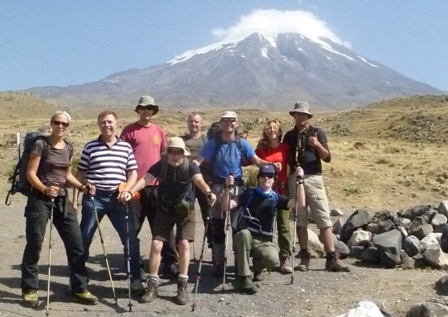 Public and private Ararat trekking tours. 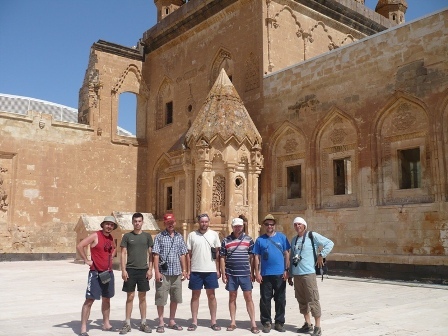 Tours for Armenians that include historical sites. Private car tours for 2-4 people. Individuals may join any of the following PUBLIC TOURS. contact us for PRICING MADE EASY. Scroll down for private group tour packages. Point to each tour code to see popup window with itinerary. 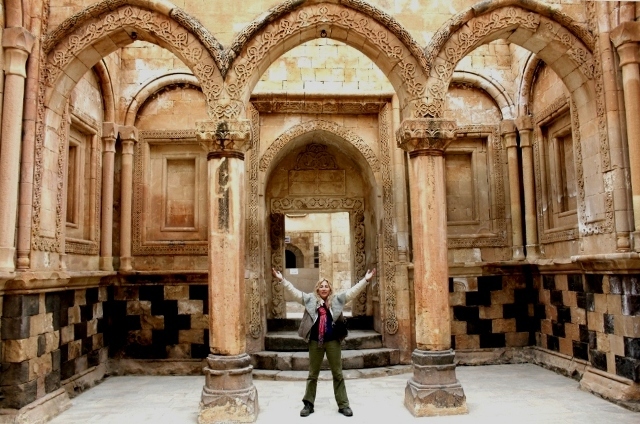 We meet you at Van airport at 9 AM and take you to Van Castle, then a boat trip to Akdamar Island with a famous 10th century church with exquisite stone carvings, followed by lunch on the shore of Lake Van. Enjoy a scenic 3-hour drive to Dogubayazit, stopping en route at magnificent Muradiye Waterfalls for photos then passing volcanic Mount Tendurek. 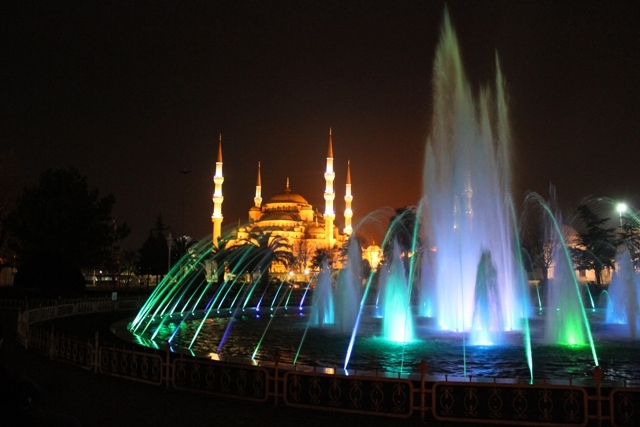 Arrive to Dogubeyazit 3-star hotel followed by orientation meeting, equipment check, and dinner. After breakfast in hotel, leave unnecessary items locked in storage room, drive to starting point at 2250 meters on Mount Ararat. Unload gear and trek 4 hours to base camp at 3200 meters. Horses will carry your backpacks and gear. You carry your own small day pack with lunch packet. Stop for tea and photos in a nomad tent along the way. Enjoy a hot dinner. Overnight at camp 1. Trek to 4100 meters and return to camp 1 for the night. 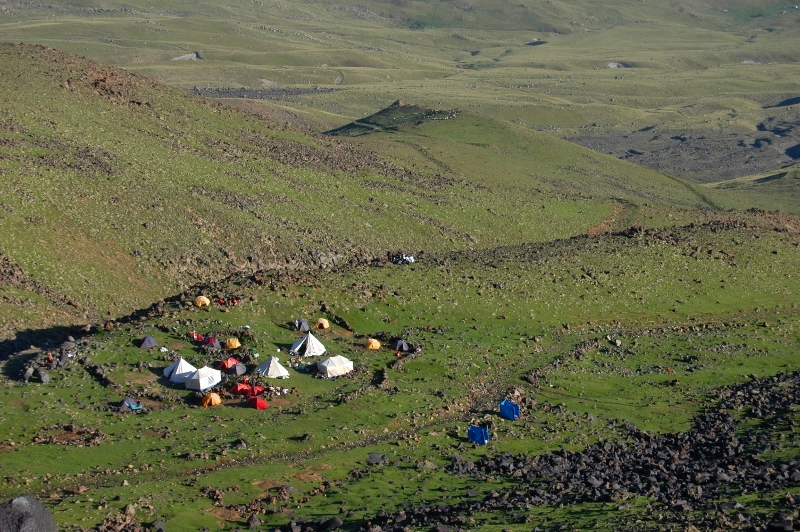 After breakfast, take down tents, pack, and trek 4 hours to camp 2 at 4200 meters; transportation of equipment by horses. 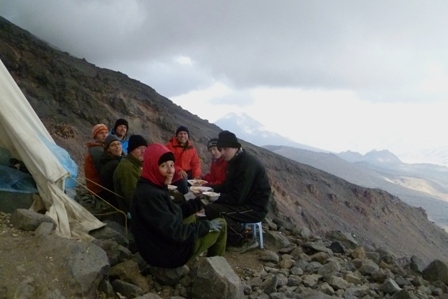 Enjoy hot dinner and go to sleep early at camp 2. Wake up at 1 AM, drink tea/coffee, eat, fill thermos with hot tea, depart from camp 2 at 2 AM. 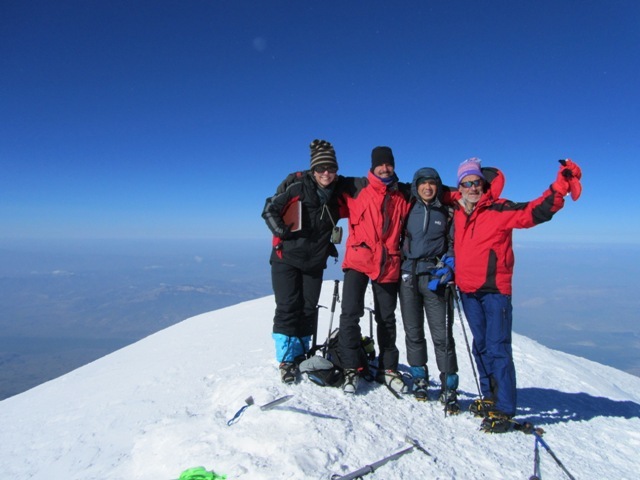 Climb 5-7 hours to Mount Ararat summit at 5137 meters for sunrise. Return to camp 2 around 9:30 AM, eat, rest, pack gear for horses. Return to camp 1 for the night. 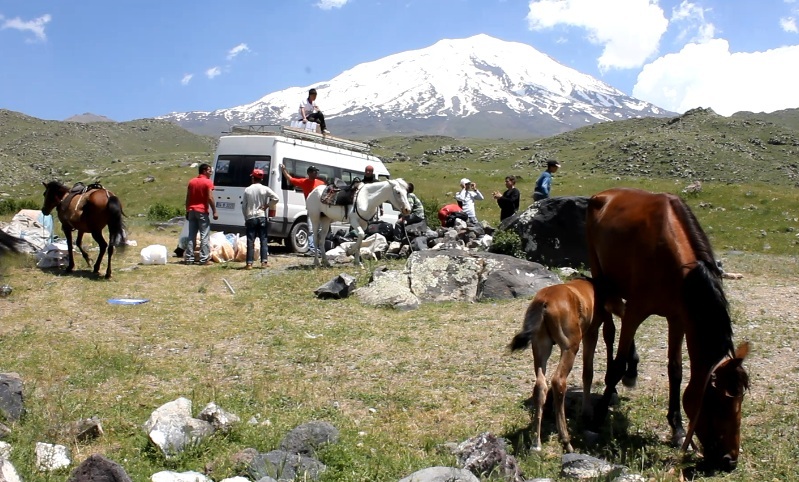 After breakfast at camp 1, pack equipment for horses and descend to 2250 meters to meet minibus for transfer to hotel. Have shower and short rest. Men may go to barber for shave and neck massage. Drive to hot springs to relax in thermal pool in private room. Return to Dogubeyazit for celebration dinner and Turkish deserts. Dogubeyazit/Agri regional tour of Işhak Paşa Palace (closed on Mondays), Tomb of Ahmed-I Hani (famous scholar and poet), Urartian Castle, old Bayazit city archeological ruins, mountain drive to Noah’s Ark National park (Durupinar), lunch of homemade cheese and bread, grilled chicken and tomato kebob, and watermelon with a family in a Kurdish village or nomad tent. Visit carpet factory, transfer to hotel for packing and shower. Farewell dinner. Breakfast in hotel; transfer to Turkish Airlines bus for 1.5 hour drive to Agri airport for 13:40 departure. 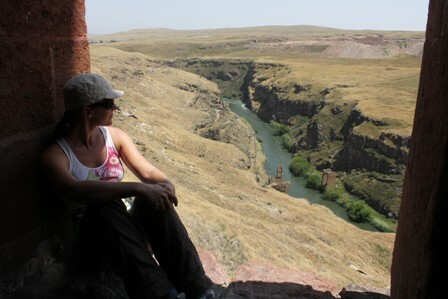 The following tours are available ONLY to groups of 6 or more. Groups may choose their own dates. Tour leaders may receive a discount. Mount Ararat is a national park. 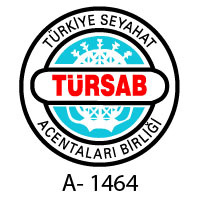 For your safety, the government of Turkey requires all climbers on Ararat to be led by a Turkish licensed guide. It also requires special permits to climb Mount Ararat. We get the permit for you. It costs $70 USD and is included in our tour prices. Prices Please contact us for our competitive prices. Please contact us to begin planning your trip. If you would like us to call you, please send your phone number. When you decide on your tour program, we will email you a reservation. It will include payment instructions. To confirm your reservation, guarantee the price, and begin the permit application process, a 50% payment is required. Payments are only refunded (minus expenses already incurred) if you cancel at least 6 weeks before your start date or if the government closes the mountain (highly unlikely) during your scheduled trek. People may be added to a reservation or dates may be changed without penalty. Payments may be made online with PayPal or by bank transfer. Full payment must be received two weeks before arrival or a 100 Euro late fee will be applied. We handle people, not money when you arrive. Allow one month for the climbing permit. Make your reservation months in advance because airline seats are limited and hotels are full in the summer.